Any novel not meant for children that opens with a character called the Storyteller and praises at length the necessity of the Storyteller’s art runs the risk of calling undue attention to its author, who is, after all, the real teller. Throw Hibernia into the mix, and the danger of hokum and, worse, goopy sentimentality (for which see Malachy McCourt’s History of Ireland, p. 851) mounts. Thankfully, former BBC reporter Delaney steers clear of mawkishness and seems much less interested in calling attention to himself than in emphasizing the importance of the oral tradition to Irish memory and writing; his Storyteller may smoke a pipe and charm the country people with wee yarns that unfold into vast epics, but the rest of his characters are as real as can be, quick to take up arms against Vikings or Brits or one another, quick to strike up a song and take a drink while resisting the clichés to which people who fight and sing and drink lend themselves. Delaney’s sprawling narrative takes in the time of King Conor of Ulster and Saint Patrick, the Battle of the Boyne and the building of Newgrange “before Stonehenge in England, before the pyramids of Egypt,” the Easter Uprising and the Troubles of more recent times. 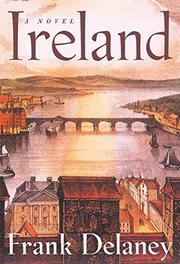 Delaney keeps a close eye on plot and connects past and present with subtle, writerly touches: a wild man with tawny hair fights a bear in the misty prehistoric past, then resurfaces, 50 centuries later, to die in the ruins of the Dublin post office, while the Irish landscape itself becomes a key character whose presence spans the centuries, reminding the reader just why the little island should have inspired so much writing to begin with. Reminiscent of the best of James Michener in scope and sheer crowd-pleasing potential.